1991 Toyota Previa 5 Speed!! Yes that's right, it has a third pedal. I bought this van a week before I found my new Insight, so guess which one I am going to keep? 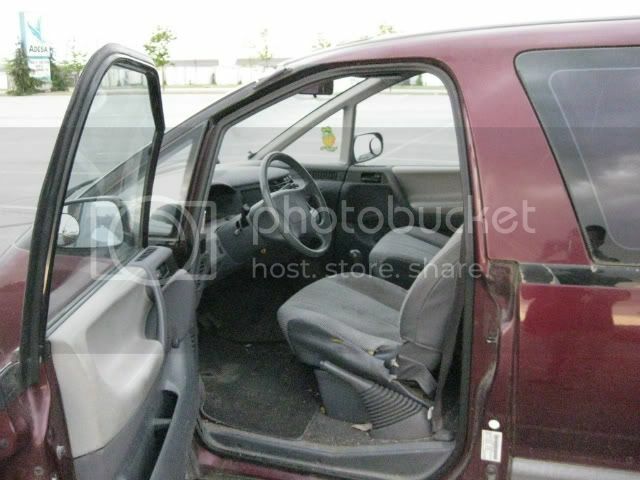 4 cyl, 5 speed, rwd, 266,000 kms, kind of converted to a cargo van (previous owner was a carpenter so he took out all the rear seats and used it for work, it has some kind of funky home made work benches in the back). 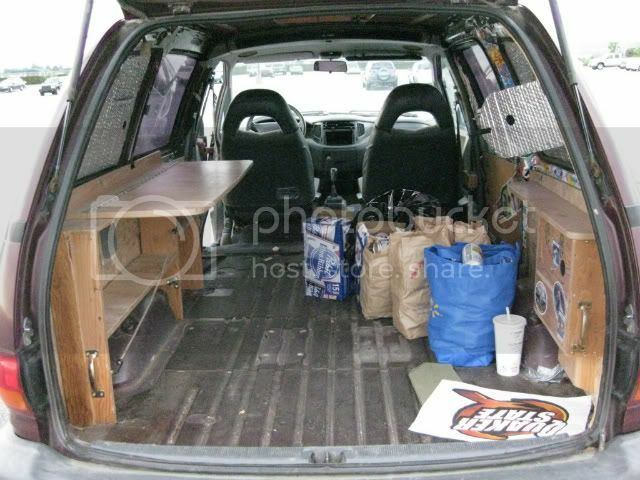 If you wanted to make a camper out of it (like I was planning) it has a ton of room in the back. Or if you need a F.E. friendly work van I can't think of a much better alternative than anything 4cyl Toyota with a 5 speed in it. It's not rusty or smashed up, but it is 20 years old so keep that in mind. It is Aircared, so if you are in B.C. it is ready to go. $2000 o.b.o - heavy on the o.b.o, once I sell this I can put insurance on the Insight! Last edited by War_Wagon; 04-23-2011 at 02:43 AM.. 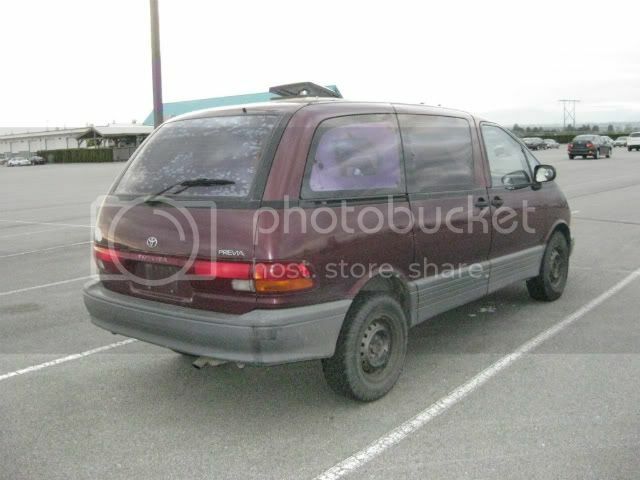 I remember the first gen. Chrysler minivans could also be ordered with a stick. Mazda 5 comes to mind too (though it's geared for "sportiness", not economy). Ah the 1984 Caravan...my mom had the exact one that was in the commercials, gold with wood "paneling". They also offered a Turbo in those years, wonder if anyone ever got a 5 speed, turbo Caravan? You know as soon as I posted my question above, I was on youtube looking for the answer, and yes as Hubert said, there are some turbo 5 speed vans out there, and yes now I want one! I finally got out to get some pics of this thing. It's been sitting for a few months now, so excuse the dirt. I take no responsibility for the stickers in the back, but I do take full responsibilty for the empties. 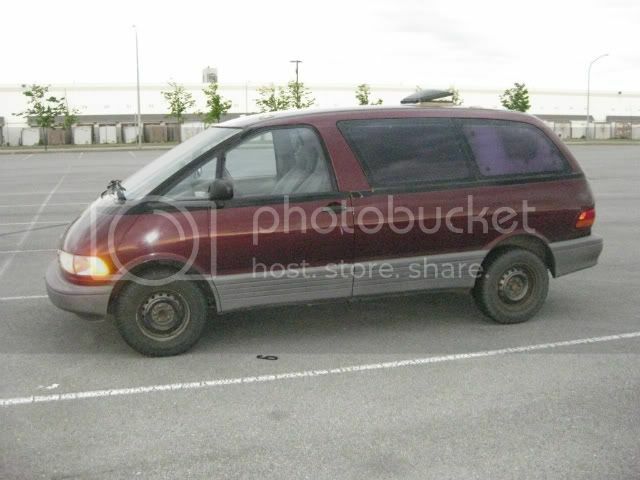 If someone wants to camperize a van this would be a great choice, lots of room in the back, and it drives out nice. I'd keep it if it wasn't for the Insight twins, because I am pretty sure I won't find another 5 speed Previa. I did not know you could get those as stick! That's not one of the supercharger models is it? If it was supercharged or AWD I wouldn't be selling it! But no it is just a rear wheel drive. I didn't know they made them in a stick either, until I saw this one. If you have never driven one, these vans are actually nice to drive, I would keep it around if I had any use for it. Yes MetroMPG, the auction provided me with another hybrid mouth to feed. So now there are two 2000, silver, 5 speed Insights. Hence selling off some of the other 4 wheeled dependents.